Adaptation. It can take a long time for humans and animals to adapt to a new situation or new lifestyle. 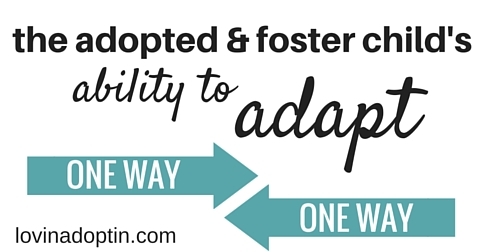 However, many adopted and foster children who come from traumatic backgrounds adapt very quickly to new surroundings. This is also true for some children who are adopted when they’re infants. Even after healing took place with our daughter, we noticed when she was under different influences, she acted disparately. If Payton was with a teacher who allowed her to speak out when she wanted and didn’t have boundaries, we noticed her negative behaviors increase at home. If she spent more time than usual with grandparents who gave her beyond what she gets in her normal, every day life, or ones that don’t have the ability to say “No,” we noticed unfavorable behaviors arise at home. It seemed that no matter what rules or life we led at home, if she spent enough time with people who didn’t have these same expectations, we were in a battle. A BIG battle. 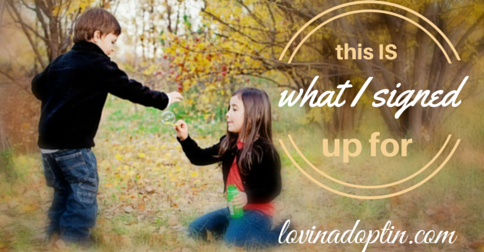 I’ve talked about this before, there are behaviors and personality traits that will stick with our children even after healing takes place, you can read more about this in What’s Next? A Look at Life After Bonding Takes Place. Even after an adopted or foster child has bonded, they will still have residual effects from being neglected and abused. Neglect and abuse transforms a child’s brain, trauma rewires their brain to protect them. They may dissociate, they may fight. 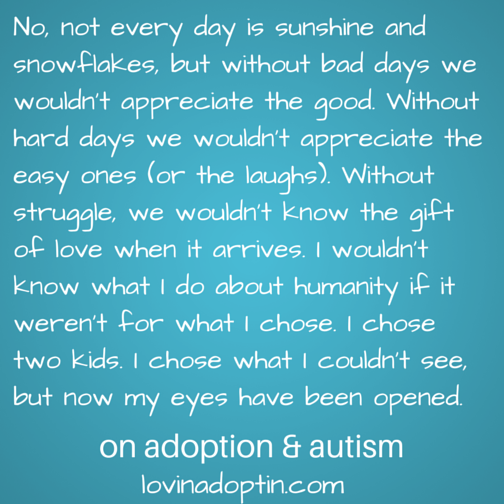 We can help them rewire their brain, through love, consistency, rocking and rhythmic movement, and all the other ways I’ve talked about here on Lovin’ Adoptin’, but there will still be something left of that life, that life that formed who they are. 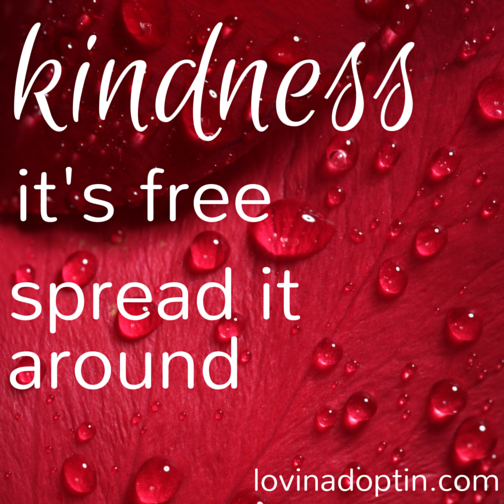 Many of their behaviors and personality traits can be guided toward positive avenues, I encourage you to check out what these are and how to help your child channel these for good. However, some of these behaviors and traits can be difficult to deal with, even if they can serve the positively in the future. One of the behaviors that’s hard to deal with is our children’s ability to adapt and how it changes how they act so quickly, because they’re adapting quickly. When our children are the center of attention, it’s a great thing, but when we come back to reality, and life happens, a parent is sick, a sibling needs attention, there are appointments and commitments, and life, it can be really difficult because our child is stuck in being the center of attention and they think it should continue. Why not? If a child can manipulate situations, and persuade adults to do their bidding (because many of our kids are intelligent, and this is a good quality when used in the right way), we then see it happening at home. This behavior doesn’t just stop because we tell them to or because we hand out a consequence. It takes a while for them to adapt back to the expectations we have at home, like, “I said no, and I mean no.” Ugh. So begin by looking at where your child spends the most time. Is it school? Daycare? If you know you have expectations at home, and you don’t allow your child to talk back, be sassy, or be rude to others, yet they still are (although some of this will take place no matter what because they are kids and they’re strong-willed) take a look at what’s happening in these other venues. Spend time there, see what’s happening for yourself. (You will also be able to tell if there are lower expectations because of how your child acts when they come home from these places.) If you see that your child is allowed to act unacceptable, have a kind face-to-face talk with your child’s teacher or daycare provider. Lay out how you do things at home, and try to encourage them to implement similar expectations so everything is cohesive for your child. We don’t want to squash our children, so remember that sometimes when in these other settings, behaviors may arise in our kids because they require extra attention. This is not a problem, but it’s going to be a work in progress to find ways a teacher or daycare provider can give your child that attention they’re seeking – if they don’t receive it, they’ll look for it in unacceptable ways; negative attention is still attention. There is no cut and dry solution here. Your child is depending on you and your spouse to continue having the same expectations at home, and you communicating with those your child spends time with. I feel strongly and have seen that when everyone works together with the same goals, our children do so much better. 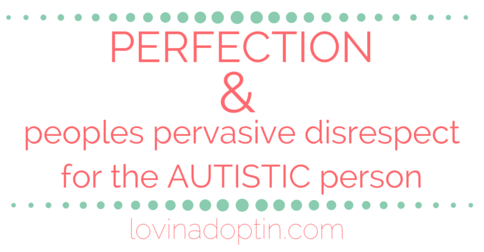 I also believe that having an understanding of why our child behaves this way helps us handle it better. Last year, my parents took our daughter, Payton, for a long weekend. It was the first time they’d done this, and it was the longest she’d been away from us. Like many grandparents, they spoiled her, a ton. It’s all good, I’m extremely thankful they did this, and we did it again this summer. However, following that first weekend she spent with them, I talked to my parents about Payton’s behavior afterwards, it was horrible. The whole universe spiraled around her and her only, she wanted it all her way, and couldn’t handle being told to do anything. Our home was a raging river for a couple weeks after. Although I’d told them before they took her to have expectations for her, I’m not sure it happened. Okay, it didn’t really, but heck they’re grandparents, and it’s all about FUN! Thankfully though, they recognized what ensued after their time with her last summer and had more expectations this summer when she spent a week with them. It was better when she returned home this time, but there were still residual effects, she was the center of attention and she was able to do almost anything she wanted. She had a blast and I’m so glad, but now I have to be even stronger in sticking to what I say. Do you see this happening with your child? I know this is so hard, our children have to go to school and we can’t always switch classrooms because a teacher doesn’t work out. We have to send our children to daycare if we work or need some down-time, and sometimes we need babysitters to step in. Sadly we can’t control every situation, unless we homeschool and never send our child out of the home, and for some of us that isn’t realistic. 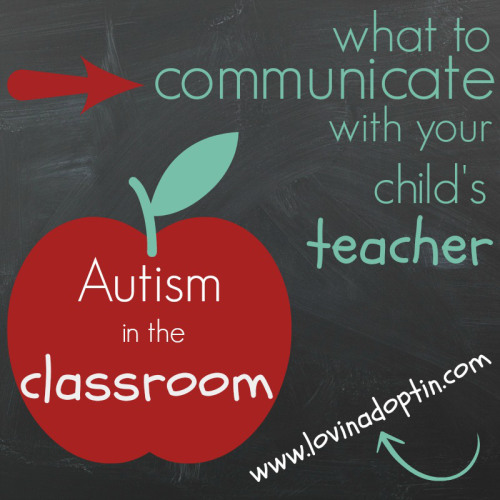 But what we can do is communicate what our child needs. We can stick to our expectations. You CAN do this! You can receive each post made to Lovin’ Adoptin’ by subscribing in the upper right corner. If you’re on a mobile device, this may need to be done on the web version. You can also follow me on Facebook, Twitter and Pinterest for more helpful information and links. I thought the recap below would be beneficial, and for many this is new. I hope you find this helpful. You can also check out Rainbow Kids for my article on Transitioning the Special Needs Student to Another Class or School. Even if you’ve already begun a new school year, there’s some information within the article which will still be advantageous. Have a GREAT school year! 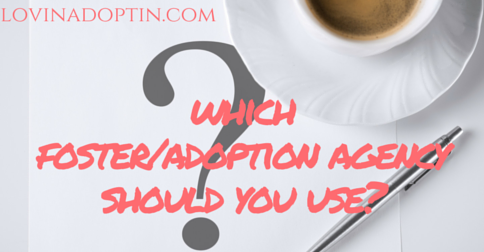 which foster/adoption agency should you use? When doing foster care or adopting from foster care, you can use your local DHS (Department of Human Services) or a contracted agency. I strongly urge families to use DHS or CPS (Child Protective Services). The name can vary in each county or state, so for this article, I will exclusively use the term DHS. Why use the DHS rather than a contracted agency? I’ve seen so many people use contracted agencies and feel like they’re jumping out of a plane without a parachute. Depending on the contracted agency, they can be excellent for supervising visits with the biological family, but as the main agency, I’ve seen it fail far too often. When you’re doing foster care, you have what’s called a case manager (the child’s case manager) and you have what some counties call a PRM (Personal Resource Manager). The PRM is the parents go-to person, and the one who makes sure you’re following state guidelines and taking care of the child. Both will be able to find out information for you regarding the biological family, what’s happening in court, and with the case. When you use an outside agency, communication gets lost, like a sports announcer who can’t see the game through a blizzard. They can’t see anything to relay how the game is going. The “sports announcer” or case manager and PRM need to have first-hand information about the child, the case, and the child’s bio family. With so many contracted agencies I’ve seen, this isn’t the case. There’s a case manager who needs to refer to another case manager, and everything gets muddled. Not knowing the ins and outs of the case can be detrimental to the kids in your care. You want to know what’s going on. You want a play-by-play, but they don’t have it. You don’t know when visits are canceled, you show up and no one’s there, you don’t know if the children will be reunited until the last minute, giving you no time to prepare the kids, or yourself. You want case managers who are in court, you want all the information you can get. When you have direct contact with those who will be speaking on your child’s behalf in court, you become the child’s advocate. This is exactly what the child in your care will need. They don’t have a voice, yours is the only one they have. Speak for your foster child, make known your concerns. Tell them how the child is doing, both while in your home, and before, during, and after visits with their bio family. If you aren’t connected to those who will represent the child in court or speak on their behalf, communication lines will get crossed and severed. The training is often superior when you go through DHS. It usually takes longer, but being able to soak in information and grasp what is being taught is essential to the long term care of your foster child. When you pound out training in one or two weekends, important aspects get lost in the rush. This isn’t an adventure to take lightly, you need to know what you’re doing, and training is the first step. Although many will tell you that the training didn’t happen until the child was in their home, the knowledge you gain from case workers and those who’ve been there is still crucial. With all this talk about court and knowing what’s going on, I suggest foster parents try to make it to as many court hearings as you can. It was invaluable to hear everything the lawyers, bios, social workers, CASA, and the guardian ad litem said. Because we were at every hearing, we knew exactly what was going on as it happened. If the bio mom was asking to have a visit with her daughter on Mother’s Day, we knew immediately. We could hear bio parents talking to lawyers in the gallery before the hearing. We knew what those called to testify were saying about our family and how the child was connecting with us. If someone was wrong, we could contact them afterwards or apprise our case worker. I know it’s hard to be there, but if you’re a two-parent household, try to split the hearings between the two of you. If you can’t be there, communicate with your case workers and let them know you are interested in what happened in court. 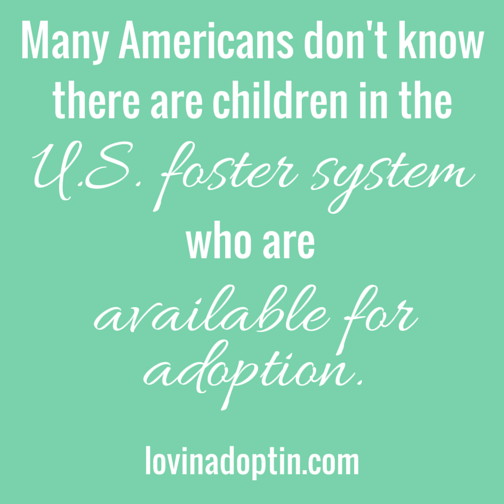 Many people are unaware there are children in foster care who are available for adoption. If you call DHS and state your intentions to adopt a child from foster care, there’s a good chance they’ll tell you they’re not an adoption agency. DHS’ response, “We are not an adoption agency,” becomes their mantra because so many people want to start fostering with the intent to adopt, and the departments goal is to reunite children with their biological families, so they need to make this clear. They can’t have people sign up as foster parents who only want to adopt because there’s no guarantee a foster child will become available for adoption. I’m sure there are good contract agencies out there, I just encourage families to go with the main agencies that will handle the majority of the work first-hand. 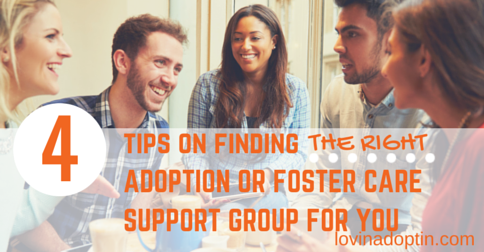 I’ve seen this work best for foster and adoptive families, and especially for the children. My friends words broke my heart, and shocked me. The strange thing is I share both the positive and negative with her, and before the last few weeks, Jeremiah and Payton had been doing really well, and most of my complaints center around how much pain I’m in, or how our family isn’t getting support. What she said was also a reflection of how she feels about her life. Life has disappointed her, and she feels it’s not what she signed up for, but it’s not how I feel. I think she feels that if she isn’t happy with her life, which doesn’t have near the complications mine does (and that’s okay), I couldn’t possibly be happy or satisfied with mine. However, I do love my life. Yeah there are hard times, but that’s a given with what our family is made of. So, this IS what I signed up for. I signed up to be a parent. I signed up for love, and I got it a million-fold. Jeremiah was crying last night when Justin put him to bed. He would cry a little and stop, cry a little more. This is odd, he usually stays in his room and plays until he falls asleep, so Justin offered him some crackers and water (that’s normally the only reason Jeremiah cries at bedtime – he needs something else), but he wanted neither. He wanted to watch a movie. Odd. I asked Jeremiah what he wanted, he went to the movie again and picked it up, I sat it down and told him, “No movie, it’s bedtime.” He cried again. I laid down with him on his bed and held him, but he kept circling in and out of crying. I asked, “Did you have a bad dream last night?” It was the only reason I could think of for him to not want to go to bed. He stopped crying and looked me in the eyes. This is sometimes his way of saying, “Yes.” I responded, “I’m so sorry you had a bad dream or nightmare. I’m here and Daddy’s here, you’re safe.” He wiped his darling eyes and began to drift off into sleep. I’m so glad I was there for him, even though it might not be what I planned on doing for those twenty-five minutes (I had laundry, and watering to do). Love, I do it because of love, and I loved those moments we had together, when he knew I would keep him safe, I would push away those horrible, scary feelings, the connection when I understood what could not be spoken. I signed up for a child who could have a mega-ton more problems than he does. Frankly, we’re lucky he only has autism, it’s nothing compared to what it could’ve been. I signed up for learning a whole new rulebook on life. I signed up for the unexpected challenges that have changed me forever, and hopefully have made me a better person. I signed up for really seeing humanity, viewing those people who are different in a whole new way. So, yeah this IS what I signed up for. No, not every day is full of sunshine and snowflakes, but without bad days, we wouldn’t appreciate the good. Without hard ones, we wouldn’t appreciate the easy ones (or the laughs). Without struggle, we wouldn’t know the gift of love when it arrives. I wouldn’t know what I do about humanity if it weren’t for what I chose. I chose two kids, I chose what I couldn’t see, but now my eyes have been opened. I choose autism. In Arizona, specifically Maricopa County, 17,000 kids in foster care are in need of a home, many of that number are available for adoption. “The numbers show a steady increase in the number of children in out-of-home care — 71 percent higher than five years ago,” says Pitzl. With these numbers I can imagine the group homes are far surpassing their allotted number of ten children per home. 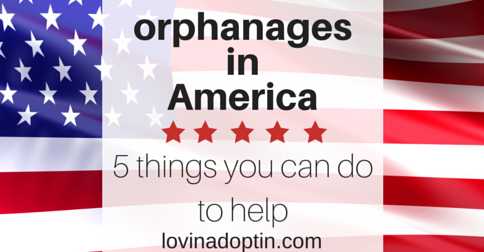 Here we are in the twenty-first century with orphanages in the United States. Usually group homes are considered the alternative for children who have issues stemming from their neglect and abuse (a foster home cannot or will not care for them), or for people who are disabled or elderly. Neither is the case for group homes that are rising up around the U.S. amid the recent influx of foster children. Children who can, and should be, given the chance to thrive in a foster home don’t have that opportunity. The inability to provide a loving and caring home to these children after they are removed from abusive and neglectful situations is exacerbating the likelihood that they will have even greater attachment and trauma based issues. It is proven that traumatized children need a family environment to heal. Share this article. The more awareness, the better. The more good foster homes, the better. Maybe some of those 17,000 children in Maricopa County can find a family who will care for them, maybe a child in another state will find a forever-family because this article was read by someone, somewhere. Foster. You read the statistic above. 17,000 children in need of a foster home in Maricopa County, Arizona alone. People are scared of fostering because they’ll get too close, and that child may be reunited with their biological parents. This deserves a much longer post that I haven’t written yet, but here’s the truth, this child has one chance at love, to know what a family is supposed to be, and you might be that one person to give it to them. –Ready or Not by Pam Parish is an essential read for any prospective foster or adoptive parent. Adopt. Many Americans don’t realize there are children waiting for forever-families in the U.S. Children right now, in foster homes, waiting. Children who are two-years-old and kids who are eighteen are available for adoption. Infants are even in need of forever homes, and often have an older sibling who needs adopted along with them. Support foster parents. If we had received adequate support when our youngest son came to us (came to us through foster care), I believe we would have strongly considered adding a third child to our family. Support is needed. One family showed up with items we needed when our son came to us. One family. We had many friends, and family lives near us, but only one family gave us physical support. No one offered to clean the house, make meals, date nights when we needed it, or run to the store when either of our children arrived. Yet, this is done for many families who birth children. I don’t quite get it. Show support for foster families by offering to do these things. Give specifics, say, “Can I mow your grass, when would you like me to come over?” instead of asking, “Do you need anything?” When you ask this, the foster parents feels guilty for saying yes and dumping something on you. Support families who are struggling so their children aren’t removed. Support young parents by volunteering as a mentor. Help educate parents on how to care for infants and children. Help counsel parents, sometimes they need a little guidance in the right direction. Give them financial assistance, food assistance, and offer transportation. 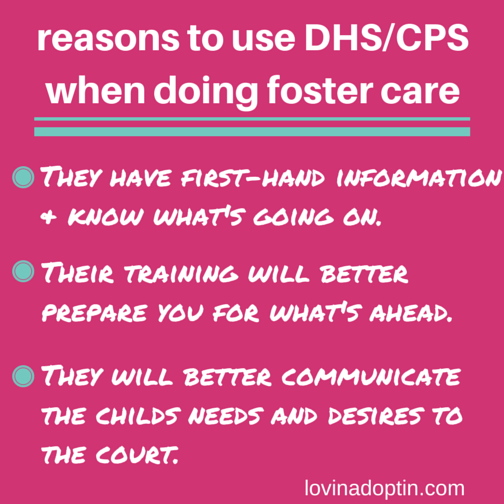 If you do consider adoption or foster care, be patient, as the news recently released this information and CPS/DHS may be flooded with people who are exploring the option of becoming foster parents or forever-families to these children. Also, remember that just because families are inquiring about children does not mean they will follow through, or they will be approved as foster or adoptive homes. Children are being failed all over the U.S. (and world) every day. According to the latest report from the North American Counsel on Adoptable Children, in 2012, 23,395 youth aged out of the foster care system. These teens were forced out of foster care without a family to call their own. No forever-family to return to on their birthday, Christmas, or Thanksgiving. If you would like to do something to help foster children in Arizona, please visit AASK, this section of the website features children who are available for adoption. 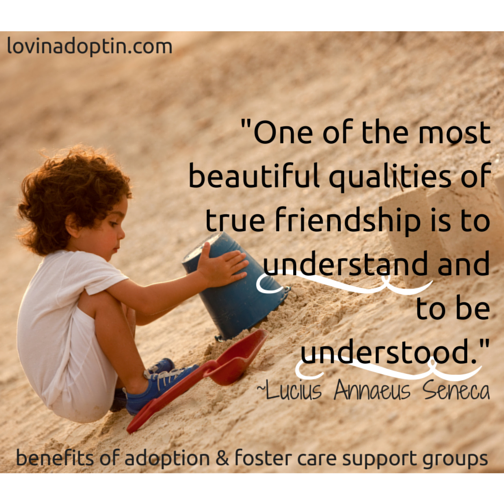 You can also financially support organizations if you are unable to foster or adopt. You can receive each post made to Lovin’ Adoptin’ by subscribing in the upper right corner. If you are on a mobile device, this may need to be done on the web version. You can “like” my Facebook page and follow me on Twitter and Pinterest for more helpful information and links.